Taught by our time-served professional tutors, you’ll be taught everything you need to know about PAT testing to extremely high standards. Made for people with any level of ability, the PAT Competency course will start from the very beginning, walking you through the theory and regulations of PAT testing during a morning session. You’ll then use what you learned in the morning session in a practical exercise where you’ll get plenty of hands-on time with PAT testers themsleves. You’ll be using the PAT tester in different practical scenarios such as PAT testing a kettle or a power tool. Our tutors are on-hand at every step to answer any questions you might have and make sure you understand how to operate the equipment effectively. Successful candidates will receive a Certificate of Competence from PASS – this proves that you’re competent to carry out PAT testing and can safely do it yourself. The course will commence at 9am, finishing at approximately 4pm with a break for lunch. This course runs over a single day. Electrical Training Course is a fully accredited training provider who has trained hundreds of people on how to PAT test. 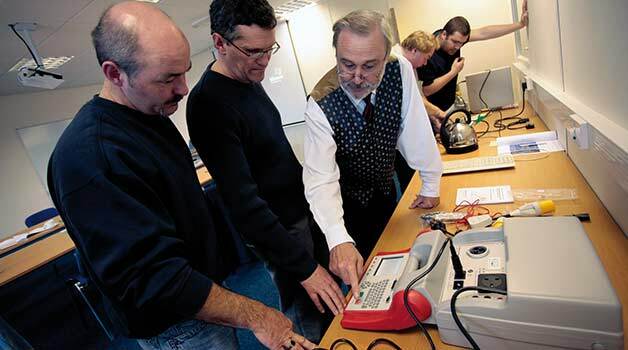 We pride ourselves on our easy-to-follow, tutor-led training programmes and are on hand at every step of the course to help you develop your understanding of PAT testing. Our PAT training course is a mixture of both theory and practical content. In the morning session you’ll learn the theory and requirements of PAT testing, break for lunch and then also get practical experience of using the equipment (either ours or your own) in a practical afternoon session. 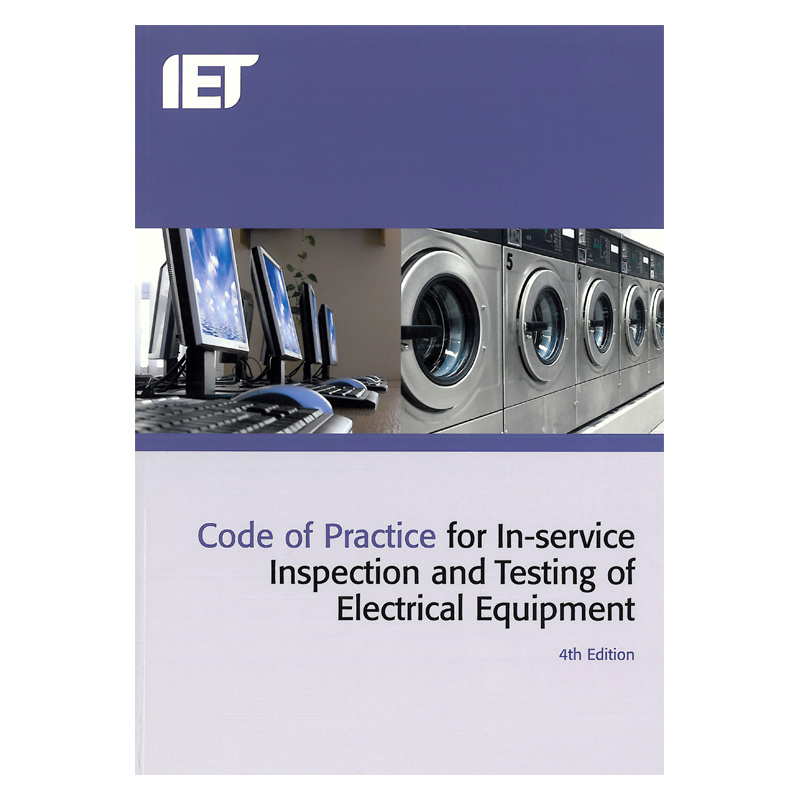 We recommend (although it isn’t essential) purchasing a copy of the IET Code of Practice >>This book is the industry-standard regulatory guidebook for PAT testing in the UK, and is an excellent accompaniment to what you’ll learn during this training course. The book is sold from Tester.co.uk, our test equipment website. The most effective way to learn PAT testing. Join our Chesterfield PAT training course today and gain a valuable new skill! With over a decade of experience, Electrical Training Course is the best solution for those looking for PAT testing training. Our Chesterfield PAT training course is open to absolutely everyone; regardless of whether you have an electrical background or not. A unique course exclusive to us, this PAT course focusses on developing both your understanding of how PAT testing works as well as giving you actual hands-on experience of using PAT testing equipment. You can either bring your own PAT tester with you, or you can use our supplied equipment as part of the training. Our experienced, professional tutors will guide you through all of the legislation and requirements of PAT testing, ensuring you understand how everything works at every stage. It is important to note that our PAT testing course is not limited to electricians. Absolutely anyone can PAT test provided they have the necessary competency to do so and our Chesterfield PAT training course is the best way to ensure you achieve this competency. The Chesterfield PAT training course is ideally suited for anyone in both Chesterfield and the surrounding area. Not from Chesterfield, but looking for training? We also offer this course in a wide variety of other locations across the country. Please visit the main course page for a full list of available locations.